Successfully Added Breakthrough 4.5 Inch Touchscreen Car DVD with A2DP to your Shopping Cart. 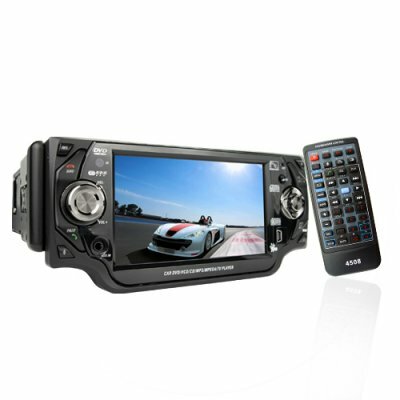 4.5 Inch Touchscreen Car DVD with A2DP - Another breakthrough product, this awesome car DVD packs some serious muscle. With AUX IN up front you'll be amazed with the ease at which you can connect your MP3, MP4, PMPs or game consoles via 3.5mm straight cable or RCA. People are also bound to love the Bluetooth A2DP profile where they will be able to stream music from a mobile device to their powerful car speaker system, as well as RDS to rock their radio. At 4.5 Inches there is nothing wrong with the display either, and the speed and intuition of the touchscreen navigation is sure to amaze. Prepare your drop shipping shop or eBay profile for a major influx in orders this is a true breakthrough product at a great Chinavasion wholesale price..